Apple will begin production of the next-generation iPad beginning in late February for an early April 2011 launch, according to sources for DigiTimes. A delay in the firmware is said to have pushed back plans but initial shipments from Foxconn should be as high as 600,000 units as Apple stockpiles inventory for its introduction. 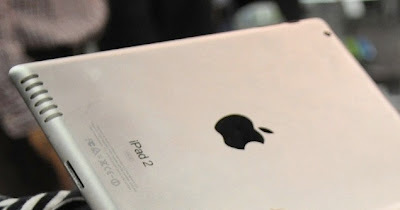 An April 2011 release date of the new iPad 2 has been the rumoured and if the normal trend for releases by Apple continues, that would make it a May 2011 release in Australia. Apple will need to build significantly more inventory for the launch of the second generation device during the month of March to meet expected demand. The next generation iPad is widely rumored to come equipped with a FaceTime camera for video calling and a gyroscope for advanced motion control sensing, much like the iPhone 4. It is also expected to be thinner than the previous model and have an improved display, and may even include a built-in Micro SD Card reader for downloading photos, images and video. These reports have come from the chinese newspaper "The Economic Times". This is significant because it was the same paper that reported that Apple were building tablets in the first place.